Home Dance Dresses Fashion How to Choose the Right Ballroom Dance Dress? 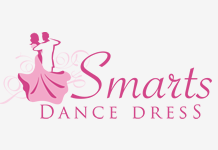 How to Choose the Right Ballroom Dance Dress? While the first two are given when you are heading the dance floor, the latter is intriguing for most dancers out there. However, it’s better for you if you wrap your head around this fact sooner! That’s because a ballroom dance dress plays a significant role during competition as well as in practice sessions. It was in the 16th century when this exquisite form of dance was invented, and it is a significant part of any dance forum even 5 centuries later! 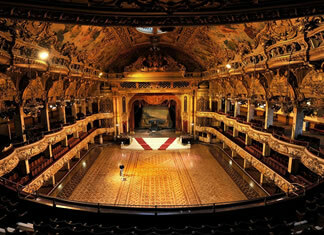 Ballroom is timeless as it consists of numerous unique styles like Jive, Tango, Swing, Cha-cha-cha, Waltz, etc. Initially, it was performed for purposes like social gatherings or ceremonies. However, as time evolved, ballroom is used more for competitive reasons these days. Highlighting flawless rhythms and excellent moves while performing a Rumba or Quick Step routine requires wearing well-fitted ballroom dresses. Or else, neither will you be able to move comfortably on the floor nor your dance moves will appear clean to the audiences or judges. However, you should never pick a dress centring on aesthetics only; strategies are important too. Bear some essential pointers in mind including your specific dance routine while you single out on one dress. A ballroom dance dress for women is more elegant and edgier than their male counterparts. 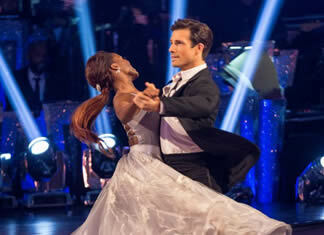 Flowing long skirts or gowns serve as the standard attire for ballroom dancers. However, there are numerous prerequisites to consider before making the purchase. Pick a dress that will leave an impression on the spectators long after the show is over! For instance, skirts with towering slits or backless dresses flaunting that flawless skin of yours might make it the most memorable costume of that evening. Ensure that your dress is made of a high-quality fabric. However, buying quality dresses on a restricted budget becomes difficult for many. That’s why online stores like Dance Dress Shop deal in inexpensive ballroom dresses, and you don’t have to worry about its fabric either. Apart from quality and cutting of that dress, comfort should be a topmost priority while dancing. So, choose a costume that helps with your larger steps comfortably, and you can also stretch your arms, kick at all directions, and make the grooviest moves swiftly. Colour is an essential determinant while picking your ballroom costume. Go for dresses that alleviate the body structure and skin tone. Also, make sure the shade of that dress contrasts your hair colour. Not to forget, the shoes! There are no strict rules concerning shoes, unlike the ballroom dance dress. While men should wear a typical dress shoe pair, women have to maintain specificities like open-toe sandals or court shoes. However, both of them must ensure that the footwear helps in their dance moves rather than disrupting them. So, running a trial-and-error method before the big day to see it isn’t too slippery will work to their advantage. It’s time to put on your shoes and dresses, and show the world your moves now! Previous articleWhy is it Imperative to Wear Ballroom Dresses in Dance Classes?